What Are the Penalties for Filing a Late GST/HST Return? According to the Canada Revenue Agency's RC4022: General Information for GST / HST Registrants there are no GST late filing penalties if your GST/HST account has a $0 balance or the Canada Revenue Agency (CRA) owes you a refund on your GST return. But that's not all. The Canada Revenue Agency will also charge interest on an overdue amount equal to the 90 day Treasury bill rate plus 4%. Late filing of a GST/HST return is not the only way you can incur GST/HST penalties. You can also be fined for non-compliance. 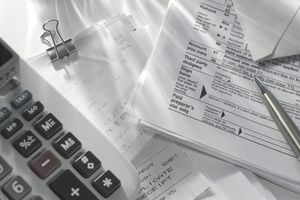 If you receive a demand to file a return and do not do so, a penalty of $250 will be charged. If you made other errors on a previously filed GST/HST return, such as incorrect amounts of GST/HST collected or collectible, you can request an adjustment for the reporting period in question. Normally such changes can be made online through the CRA's My Business Account service, or you can do this by mail. If you file an inaccurate return, you can be subject to a penalty of 5% of the amount plus 1% per month of the difference between the reported amount and the actual amount (to a maximum of 10%). If you have been instructed to make installment payments and you do not make a payment by the due date, you can be charged installment interest at the 90 day Treasury bill rate plus 4% until the installed amount plus accrued interest is paid. Just to rub some salt into the wound, you can't claim any income tax deduction for any penalty you paid or owe for failing to file a GST/HST return or for any arrears interest you paid or owe for outstanding GST/HST amounts. The moral of the story is you definitely want to get your GST/HST return in on time if you owe the Canada Revenue Agency money.